Dan Rosenberg and Bob Bossi have been friends for more than 30 years. Bob had already enjoyed drinking and learning about fine wines for many years but when Dan moved to Livermore in 2003, he too got the “wine bug” and then the future of “Dante Robere” started to take shape. 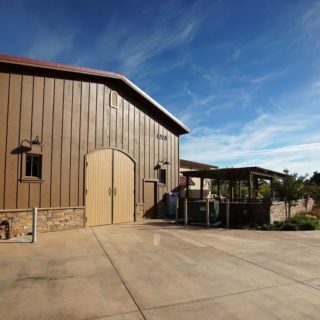 Their passion for quality wine sent them on trips to most of the finest wine regions in California, always visiting their preferred smaller family run wineries. The experiences of meeting and talking with winemakers, having fun with family and friends in the intimate tasting rooms, and enjoying quality wines, inspired a dream of theirs to be standing behind their own counter and pouring their own wines. In 2007, they planted a small Zinfandel vineyard in Dan’s backyard and began making wine at home. This was no easy task for an ex-accountant and former insurance agent but the challenge didn’t stop them. They volunteered their time assisting various Livermore Valley winemakers in an effort to learn the winemaking processes while dreaming of turning their hobby and passion for wine and winemaking into a second career. The thought of developing a winery and a tangible business that their children could become a part of, and someday embrace, was a powerful motivator. In 2012, the families officially decided to build a new winery from the ground up. They found the perfect property across the street from Sycamore Grove Park on Wetmore Road and purchased the adjoining 6-acre Syrah vineyard. In July 2015, Dante Robere Vineyards opened its doors at 1200 Wetmore Road. 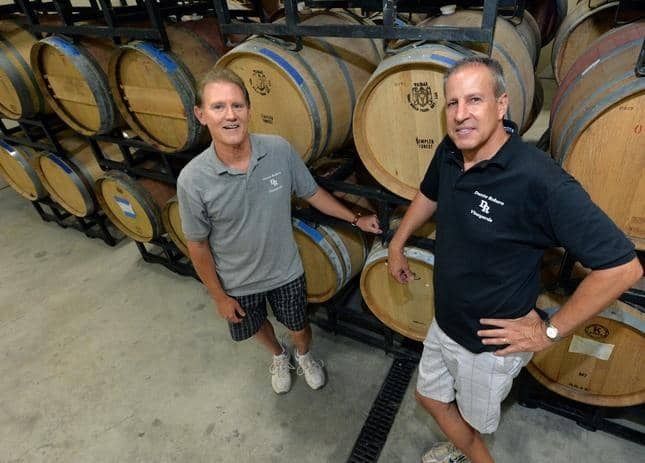 Dante Robere Vineyards is named after Dan and Bob. Their goal is to make wine from Livermore Valley winegrapes when possible but also to procure quality grapes from other wine growing regions that are well suited to certain unique varietals. 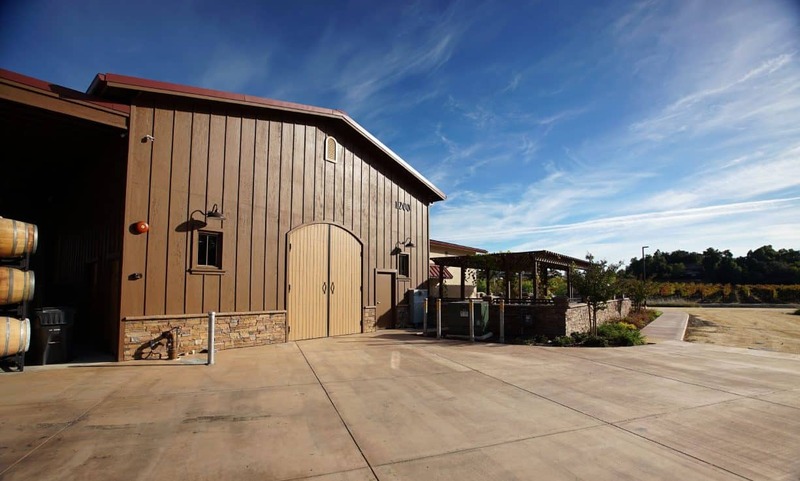 Their estate-grown Syrah blended wines featuring the estate Syrah, and other Rhone varietals such as Grenache and Mourvedre are their acclaimed signature wines. But they also produce the stalwart varietals such as Cabernet Sauvignon, Zinfandel, Petite Sirah, Chardonnay, as well as more unique wines such as Tempranillo, Touriga, and Barbera. Dante Robere Vineyards offers a relaxed, comfortable setting with award winning wines to share with family and friends. Dan and Bob look forward to seeing you at the winery where they’re sure you will enjoy your wine tasting experience.